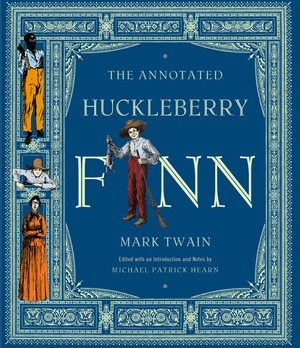 The Annotated Huckleberry Finn - Description | W. W. Norton & Company Ltd.
"All modern American literature comes from one book by Mark Twain called Huckleberry Finn," Ernest Hemingway once declared. First published in 1885, the book has delighted millions of readers, while simultaneously riling contemporary sensibilities, and is still banned in many schools and libraries. Now, Michael Patrick Hearn, author of the best-selling The Annotated Wizard of Oz, thoroughly reexamines the 116-year heritage of that archetypal American boy, Huck Finn, and follows his adventures along every bend of the mighty Mississippi River. Hearn's copious annotations draw on primary sources including the original manuscript, Twain's revisions and letters, and period accounts. 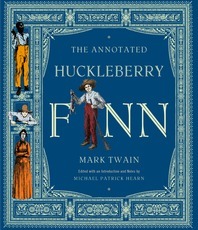 Reproducing the original E. W. Kemble illustrations from the first edition, as well as countless archival photographs and drawings, some of them previously unpublished, The Annotated Huckleberry Finn is a book no family's library can do without; it may well prove to be the classic edition of the great American novel. An unpublished Mark Twain story surfaces 125 years after it was first written—a must-read for any Twain enthusiast and a perfect introduction to The Adventures of Huckleberry Finn. In celebration of the 100th anniversary of its publication, a beautifully illustrated annotation of The Wizard of Oz, complete with an exact reproduction of the original 1900 edition.